Download Christmas Winter Sale Flyer PSD Freebie. 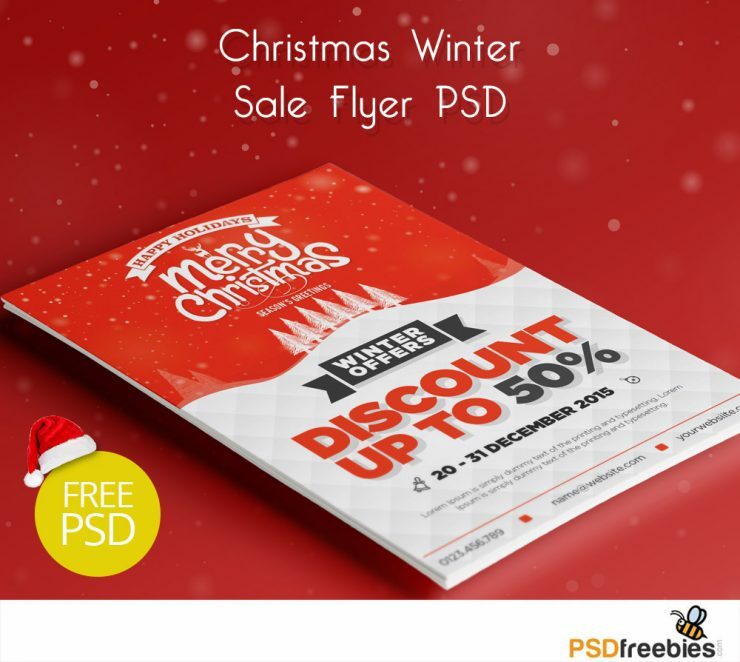 This Christmas Winter Sale Flyer PSD Freebie is perfect for promoting Xmas-themed club nights, bar promotions and music events and Holiday discount sale. The PSD file is very well organized in folders and layers. You can modify everything very easy and quick. Changing the color style, pictures and the typo is no problem. Hope you like it. Enjoy!